With the Q3 Newsletter in motion, a few very interesting items are taking form. Brevity for you reading ease. Note the growth estimate from 2014 to 2015 …about $2 or less than 2%. Earnings are the ultimate driver of stock prices! 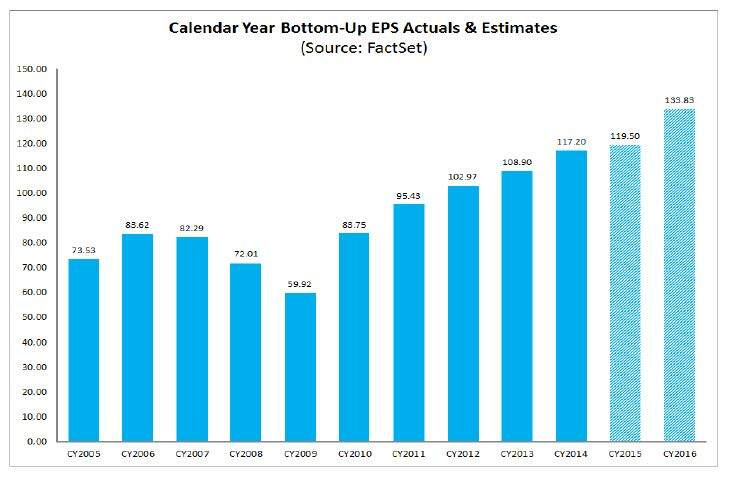 This entry was posted in Earnings Season, Investing/Financial Planning, Market Comments and tagged Earnings, Earnings Estimate, Factset. Bookmark the permalink.